International Day to End Impunity (IDEI) is observed by individuals in many countries around the world on November 23. This observance was created by IFEX in 2011. IFEX (formerly the International Freedom of Expression Exchange) declared November 23 to be International Day to End Impunity. The date was chosen to coincide with another important and dreadful event in the history of journalism, that is known as the Maguindanao massacre. On November 23, 2009 57 individuals, including 32 journalists and media workers, were assassinated in the Philippines. This massacre became known as the deadliest single attack against journalist to have ever taken place. 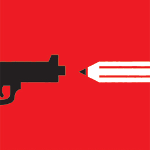 Celebration of IDEI raises public awareness of threats and persecution of artists, musicians, journalists, writers and advocates, who exercise their right to free expression. Many people are unpunished for their actions, that is why another goal of this observance is to demand justice for them. Many events are organized around the world to observe IDEI. Starting on November 1, everyone is called to action and encouraged to sign a petition, spread awareness through media or send a protest letter.